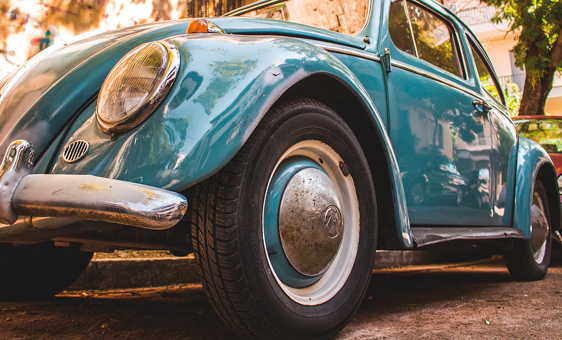 The definition of a classic car depends on who you ask – for tax purposes it’s anything over 40 years, but some cars are modern classics to enthusiasts, and the Volkswagen Beetle is one that bridges both definitions after 80 years of manufacture. It might not be a supercar and it lacks the prestige of a Bentley or Rolls-Royce, but combining decent fuel economy with iconic styling and relatively easy repairs has meant many VW Beetles have stayed on the roads or in private collections for decades. Now VW have announced they are ending production of this much-loved model, so if you have a VW Beetle in good condition and want to keep it that way, how do you go about transporting classic cars of all kinds and keep them safe along the way? Ontime Classic Car Transporters are part of our fleet of global automotive transport vehicles and are a great option when it comes to shipping classic cars to rallies, races and motor shows, to move them when they are bought and sold, or just to get them to a destination so you can take them out for a drive on new roads. Moving classic cars in car transporters helps to preserve their value – you don’t clock up the miles that you would under their own steam, or when towing some rear-wheel drive vehicles with mechanical odometers. By physically enclosing the vehicle, you also protect it against weather conditions, and substances kicked up from the road surface such as grit or winter road salt, which can corrode bodywork and chip paint. The Beetle is famously easy to repair, but equally famous for breaking down – its bigger sibling the VW Campervan was reputedly designed to carry enough mechanics in the back to fix it at the front! If you need to transport a broken-down VW Beetle that perhaps didn’t make it to the end of a rally or road trip, again our classic car transporters are perfect for the job. Each transporter is equipped with a winch and tail lift, allowing non-running vehicles to be loaded safely into the trailer, so they can be driven home for repairs rather than getting fixed at the roadside. Again, this won’t add to the mileage on your vehicle, whereas with older rear-wheel drive Beetles, towing the car with the front wheels off the ground might still do so. Why use enclosed classic car transporters? Most classic cars belong to an endangered species – a model or generation that is no longer produced, or a strictly limited edition of prestigious modern cars for instance. Enclosed classic car transporters with appropriate loading and unloading equipment and experienced drivers all add up to a kind of coat of armour for your classic car in transit, helping to make sure it arrives at its destination in exactly the condition in which it set off. Ideally you shouldn’t be able to tell the car has travelled the distance between A and B at all, but rather it should look as though it arrived there instantaneously, with no wear and tear, added mileage or exposure to weather damage.